Democrats, independents, and sane Republicans in Iowa’s 4th District need to rise up, do what is right and un-elect Steve King. Iowa can certainly do better than a congress person who specializes in racial slurs and propagandistic, inflammatory comments. King would be better suited as a right-wing talk radio host, but he is not suited to be a part of government that is supposed to represent everyone. Check out King challenger Kim Weaver’s campaign website and Facebook page. Donate to her campaign here. Follow her on Twitter. Click here to sign up to volunteer. In a June 30 Letter to the Editor, headlined “In Defense of Steve King,” the author suggests that we should dismiss Mr. King’s record of do nothing, no legislation to his credit, stick-his-foot-in-his-mouth rhetoric and his recent amendment to a bill to stop the removal of bigot Indian hater Andrew Jackson from the $20 bill because he is a hard worker. Just because King was voted as a hard worker by Newsmax doesn’t mean he is an effective representative. 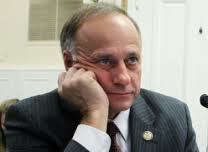 It is sad that hard work didn’t in Steve King’s case produce anything meaningful. It is also sad that the people of the congressional 4th District in Iowa continue to turn the other cheek and discount his dismal record. 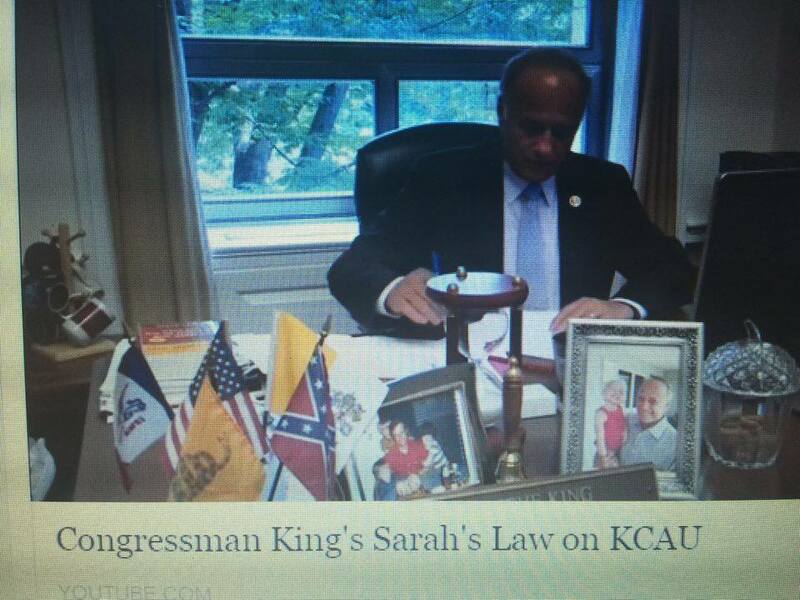 Steve King with a confederate flag on his desk in his tax payer funded office. This entry was posted in 2016 Election Campaign, Kim Weaver, Steve King and tagged Iowa's 4th District, Kim Weaver for congress, Rep. Steve King-IA. Bookmark the permalink.